The Generac Magnum MMG75D is equipped with a John Deere engine, which features a Diesel Oxidation Catalyst (DOC) and a Diesel Particulate Filter (DPF) in its exhaust filter. The DOC and DPF work together to reduce carbon monoxide, hydrocarbons, and particulate matter, making this a cleaner running generator. 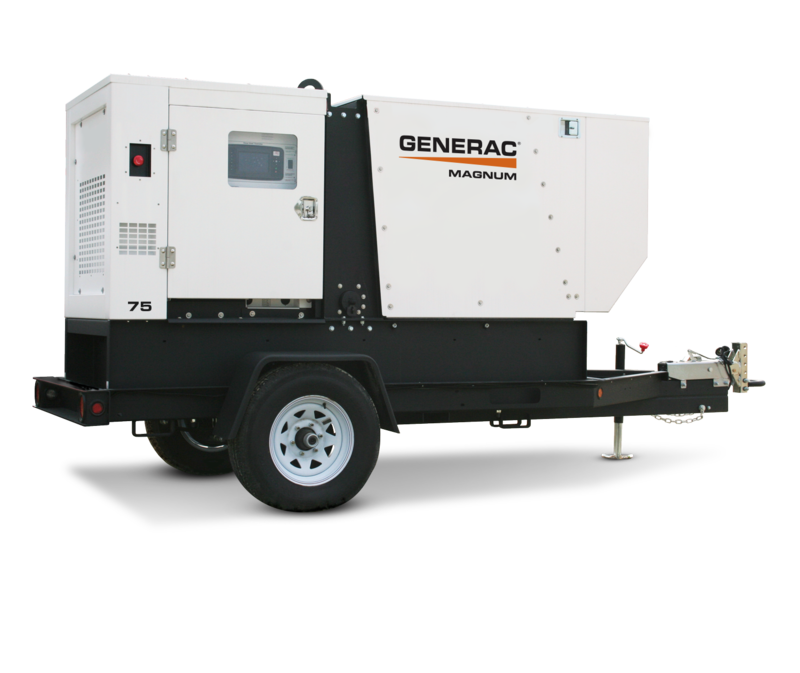 Each Generac mobile generator is built specifically to fit your needs. Several options are available to ensure you get exactly the mobile generator that you need.